Tater Tots For The Masses: Shameless Self Promotion! 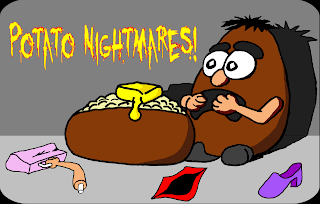 I just added a Potato Nightmare shirt to my cafepress.com site to celebrate Halloween. You can see all the stuff at http://www.cafepress.com/houstonkeys or go directly to the shirt here!